The line that Australia’s rocketing power prices will soon plummet is just a cruel hoax. Contrary to the propaganda dished up by the Coalition government, and those that spruik for RE outfits, the subsidies doled out under the LRET DO NOT END in 2020. Far from it. The other game in subsidy town is the Small-scale Renewable Energy Scheme (SRES), which is another Federal government subsidy rort, that benefits householders and businesses who slap solar panels on their rooves. The piddling amount of ‘look at me, I’ve saved the planet’ power produced when the sun’s up and the sky is clear is hardly worth the $1.3 billion a year cost of subsidies, born by those without rooftop panels. For $1.3 billion (the annual cost of SRES subsidies) Australia could have laid a pretty solid down-payment on a 1,000 MW nuclear power plant, delivering power 24 x 365, to all and sundry, not just the privileged few. The poorest and most disadvantaged will never afford solar panels and plenty of families simply can’t afford power from the grid, either. For the wealthiest though, the $1.3 billion annual subsidies to small scale solar allow them to reduce their power bills at their poorer neighbour’s expense, while pumping up their virtue signalling egos. The SRES, like the LRET, runs until 2031. Which means that subsidies paid to householders under the SRES will add almost $17 billion (13 x $1.3bn) to the $40 billion in subsidies to large-scale wind and solar. For that kind of money, Australia could have built the best part of 5,000 MW of nuclear generating capacity, lasting a life time, instead of the short dozen years of economic life expected from solar panels and windmills. The cost of the LRET and SRES is staggering; the consequences an economic disaster. Here’s The Australian looking at the second greatest rort under the southern sun. Operators warn of a spike in the number of unscrupulous ­operators unless the green-power subsidy is wound back. The Clean Energy Regulator has released figures showing that more than 1057 megawatts of ­capacity was installed last year, equating to 3.5 million solar ­panels being fixed to rooftops. Industry analysis obtained by The Australian reveals the cost of small-scale technology certificates — created to increase the incentive to install rooftop solar — shows the value of the sub­sidies was $500 million last year. The solar industry is expecting the subsidy to increase to about $1.3bn this year after the regulator estimated in January that 22 million new certificates would be created over the year. The certificates are granted to people installing solar panels, and electricity retailers are required to buy them. Jeff Bye, founder and owner of Demand Manager in Sydney, a company that creates and trades the certificates, warned that the rebate was “overly generous” in many circumstances. “There are strong reasons to support installation of rooftop solar in Australia; however, it’s a question of the degree of support needed,” he said. 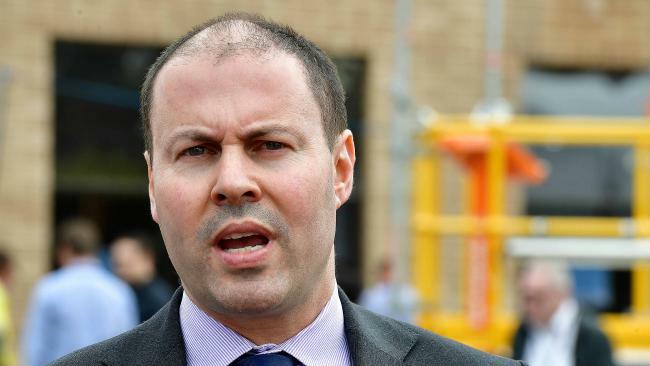 Energy Minister Josh Frydenberg said the Australian Energy Market Commission had found the average cost to households over the past five years was about $29 a year, with the price peaking in 2012 at $44 for the year. “The AEMC forecasts residential electricity prices will fall over the next two years as renewable energy, including small-scale solar supported by the Renewable Energy Target, enters the system,” Mr Frydenberg said. In last year’s Residential Electricity Price Trends report, the AEMC acknowledged that “costs incurred in purchasing certificates are assumed to be passed on to consumers through retail prices”. Mr Frydenberg celebrated the solar rooftop take-up last year, saying Australia had emerged as a “world leader” and noted that one in five households used solar power. NSW Liberal MP Craig Kelly, chairman of the Coalition backbench committee for energy and the environment, warned that the cost of rooftop solar subsidies was being carried by those who could least afford it. He said the benefits of lower power prices were going to high-wealth households that installed the panels, while those without solar panels were hit with higher prices passed on by electricity ­retailers. “It’s effectively a reverse Robin Hood scheme where we are ­increasing the electricity prices on the poor to reduce electricity ­prices for the rich,” Mr Kelly said. Mr Frydenberg faces calls to ­reduce rooftop solar subsidies by slashing the price of the certificates that electricity retailers are required to buy. He is expected to set a target for the calendar year by the end of this month. Mr Bye said the number of certificates to be bought each year was set by the small technology percentage (STP), but warned the system was flawed and the certificates were overpriced. “In recent history, the certificates have traded close to the maximum legislated price of $40 and the target-setting process, overseen by the minister, effectively leads to a continuation of that pattern,” Mr Bye said. 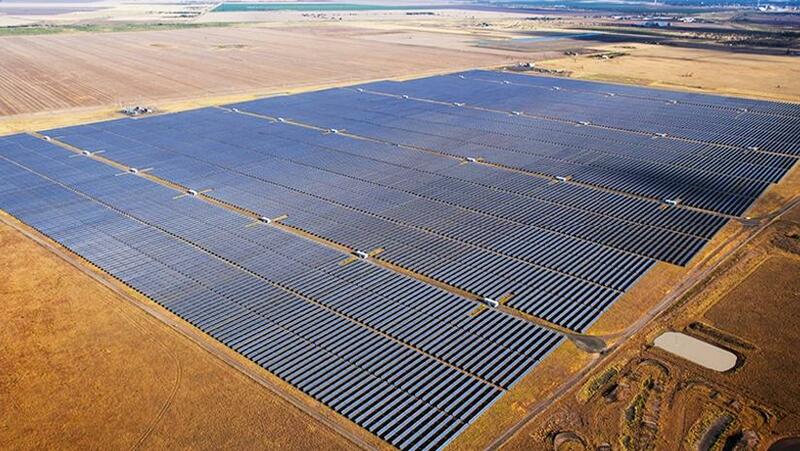 Mr Bye warned that the high STC price, coupled with growing demand for solar, could attract “unscrupulous operators”. “It’s nowhere near what it was 10 years ago under the home insulation program but we should be wary of subsidies attracting the wrong people,’’ he said. Governor-General Sir Peter Cosgrove travelled to New Delhi at the weekend to represent Australia at the International Solar ­Alliance Founding Conference after a request was made by Prime Minister Malcolm Turnbull. Craig Kelly: calls it for what it is – the greatest rort in history. Few and far between are those politicians with the temerity to call renewable subsidies for what they are: a monstrous rort and the greatest government mandated wealth transfer in the history of the Commonwealth. 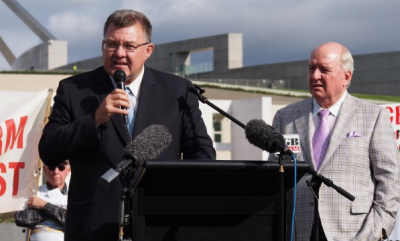 Among them are former PM, Tony Abbott and STT Champion, Craig Kelly. Hood, that legendary swashbuckling man in tights, was renowned for stealing from the rich and giving to the poor. His nemesis was, of course, the Sheriff of Nottingham, who was very adept at separating the impoverished from their financial means of survival. Australia doesn’t need a Robin Hood, it just needs to stop stealing from the poor to satisfy the moral vanity of the well-to-do and to make carpet bagging renewables rent seekers obscenely rich. Here’s The Australian again. Energy Minister Josh Frydenberg faces a backbench revolt with pressure building to end subsidies for solar panels. Former prime minister Tony Abbott is demanding action after revelations that the subsidies could cost consumers more than $1 billion this year. Mr Abbott led a chorus of ­Coalition backbenchers urging the government to end the small-scale renewable energy scheme, with Liberal MP Craig Kelly declaring the policy was more economically damaging than the Rudd government’s home insulation scheme. “The cost to the economy in dollars is far greater than what the (home insulation) scheme was,” Mr Kelly said. The scheme was also criticised by Grattan Institute director Tony Wood because it did not reduce subsidies to solar panels as they ­became more affordable. “Australians are paying far too much for our emissions obsession. Government must end subsidies for new renewables,” Mr Abbott said yesterday. Nationals senator John Williams said the policy forced struggling families to subsidise rich people’s solar installations. “Renewable energy is good in that it is renewable and it goes on forever,” Senator Williams said. Queensland senator Ian MacDonald said the small-scale ­renewable energy scheme pushed up electricity prices but did nothing to reduce climate change. “Nothing we do in Australia will make any difference, we could open up new mines, new power stations it would not make one iota of a difference to what they say is climate change,” he said. The small-scale renewable scheme, which is unaffected by the proposed National Energy Guarantee, gives financial incentives for homes and small businesses to install solar panels or hydro systems on their property. Certificates, worth a maximum of $40, are provided for each megawatt hour of renewable electricity that would be created from a solar panel until the scheme ends in 2030. Electricity retailers are ­required to buy the certificates, passing the cost on to consumers. Industry analysis obtained by The Australian showed the subsidy was expected to more than double from $500 million last year. Mr Kelly, chairman of the ­Coalition backbench committee for energy and the environment, said the government should halve the maximum certificate price to $20, followed by another ­halving in its value next year ­before it is phased out a decade early in 2020. Mr Wood, from the Grattan ­Institute, said the problem with the renewable energy target was that it did not have any “self-correcting mechanism”. “The idea the subsidy stays in place regardless of what happens to the thing you are subsidising is asking for a problem in the long term,” he said. “If people continue to put in more small-scale solar the retailers, more or less, are forced to support it with a price that is capped at $40 MWh. Mr Frydenberg declined to comment. Josh Frydenberg plays the Sheriff of Nottingham. Our complaint: As rental tenants, we are in effect subsidising our neighbour’s solar panels through our electricity billing (ours increased by 35% 2018-2019). We don’t have an option to obtain this so called “free electricity” solar panels. Since the entire ‘renewable energy’ sector can not exist without massive Gov’t subsidies (obtained through energy generation taxation) Is there not a good case for a class action lawsuit on behalf of all who have been disadvantaged and discriminated against with exorbitant (extortion is more appropriate) energy prices? Let me know your thoughts. Happy to write an article for you.